The federal government introduced new legislation to create a joint committee with robust powers to oversee national security matters, one of three public safety-related bills the Liberals are tabling this week. The bill, titled "An Act to establish the National Security and Intelligence Committee of Parliamentarians and to make consequential amendments to certain Acts," was tabled in the Commons by Government House leader Dominic LeBlanc. 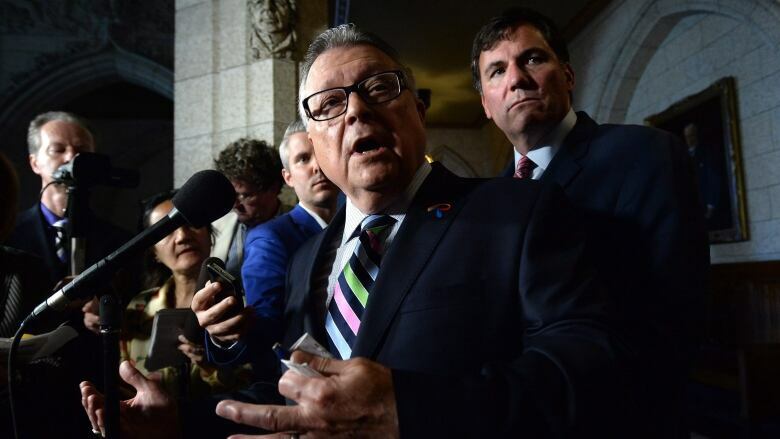 Public Safety Minister Ralph Goodale, who worked with LeBlanc on drafting the bill, said committee members, would have "extraordinary access to scrutinize all of the security and intelligence operations" across the government of Canada. 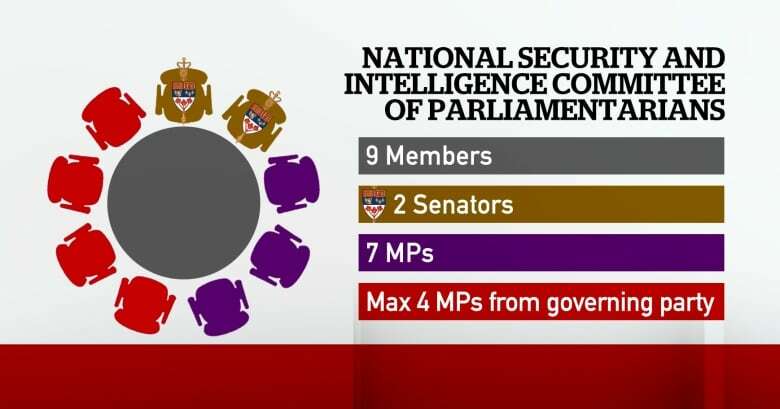 The nine-member committee would be made up of seven MPs and two senators who would have the clearance required to delve into "any matter, any activity" related to national security, Goodale said. Of the seven MPs, a maximum of four would come from the governing party. The minister of public safety said the goal of the committee would be to ensure the country's security and intelligence agencies are keeping Canadians safe while at the same time protecting Canadian values, rights and freedoms. Goodale said the committee members would have to pass a high level of security clearance and swear an oath of secrecy before assuming their new responsibilities. He said parliamentarians would need to maintain the confidentiality of information they receive even after they are no longer sitting on the committee. In addition, members would not be able to claim parliamentary immunity if they divulged classified information. However, ministers would be allowed to withhold information from committee members if handing it over could compromise national security. Goodale said the onus would be on ministers to explain why they can't comply with a review and provide substantive answers, not just "a capricious judgment," Goodale said. "If the committee is not happy with that explanation, they can make their unhappiness known publicly. "Putting that comment in the public domain will, quite frankly, set off alarm bells right across the country and it will then be incumbent — not on the government generally, but most especially the prime minister to explain himself or herself to Canadians," the minister of public safety said. Goodale touted the proposed bill as "a good Canadian model." Liberal MP David McGuinty would chair the new committee once the legislation becomes law sometime in the fall, Goodale said. CBC News reported on Wednesday that a so-called ISIS "kill list" contains the names of 151 Canadians, mostly women. Goodale would not say if the threat to Canadians' lives was serious, only that the government was taking this specific matter, as well as other matters related to terrorism, "extremely seriously." "You can be assured that the police and security authorities of Canada are taking this matter with the gravity that it demands, and that they will be doing their very best within all their powers and authorities to keep all Canadians safe," Goodale said on Thursday. "I just want to assure you that when this kind of a threat emerges ... all of the security, police and intelligence agencies of the government of Canada respond in a robust way to keep the country safe." The Liberals tabled, a day earlier, legislation proposing changes to the Customs Act that would allow border guards to collect biographic information from travellers exiting Canada. Biometric data, such as fingerprints and iris scans, "will not be collected" under the entry-exit initiative, a senior spokesperson for the Canada Border Services Agency said in an email to CBC News after the bill was tabled. A new government bill on pre-clearance for people and goods crossing the border is also expected this week.